Opportunity knocks! 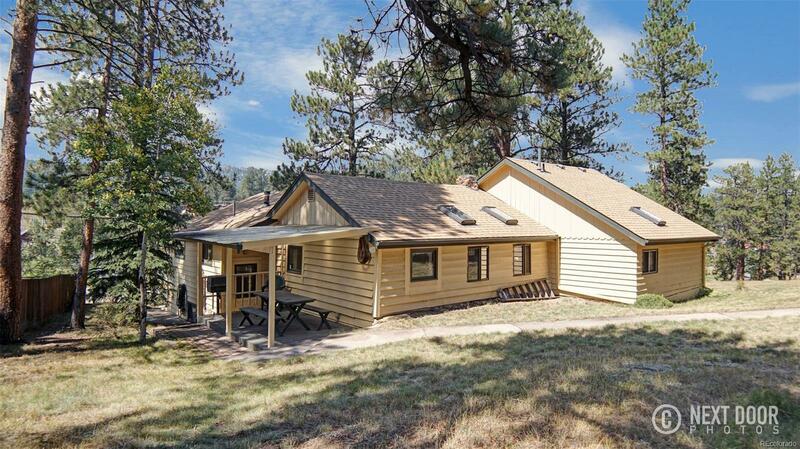 This nice home is within walking distance to the schools, Evergreen lake/downtown, biking and hiking trails and the rec center. The open floor plan offers a large living room opening to the kitchen and dining area with a lovely decorative fireplace. Lots of big windows to admire the beautiful views of Three Sisters and Evergreen Mountain. Large main level master bedroom with big walk in closet and master bath w/ skylight. Even has a bay window! Plenty of room to maneuver in this kitchen. Including handsome oak cabinets with good counter space. Enjoy relaxing on those beautiful Colorado summer days under your covered patio. Gentle sunny lot. 4 bdrms or 3 bdrms plus an office.